As a leading heating and cooling company near Indianapolis, IN, we are proud to provide HVAC repair, replacement, and installation services to central Indiana. However, our services don’t stop there. We also offer refrigeration repair services for walk-in coolers and freezers and general plumbing services for commercial properties in Bartholomew County and the surrounding areas. 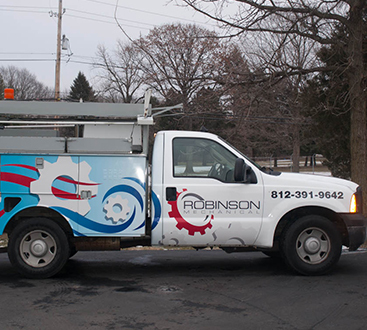 We want Robinson Mechanical, LLC to be your go-to technicians for any HVAC, plumbing, or walk-in cooler problems you may be having. At Robinson Mechanical, you can count on us for more than just outstanding HVAC service. You can also expect exceptional customer service. To help do this, we offer upfront pricing, flat fees, and will never stick you with any hidden costs at the end of a repair. We know going through heating and cooling troubles is the last thing you want to deal with, and we hope that our fair pricing and fast service can make the process a little easier on you and your family. 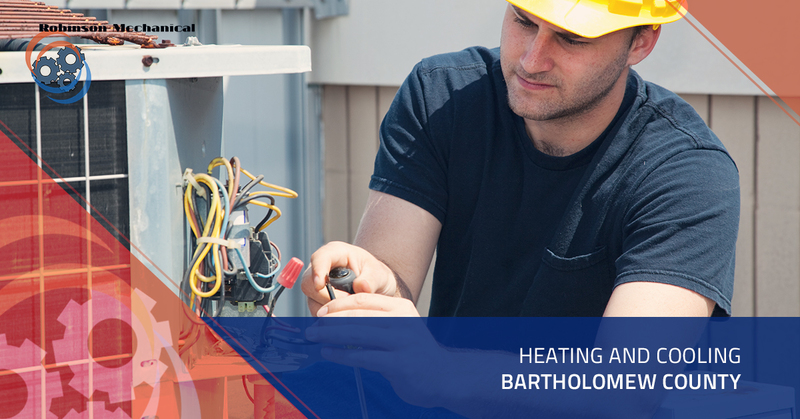 When searching for the best HVAC service, Columbus and Bartholomew County residents can rest easy knowing that Robinson Mechanical is here to help get their heating and cooling back in top shape. Whether you are looking for HVAC replacement in Columbus, IN or furnace repair in Hartsville, Robinson Mechanical is here to help the residents of Bartholomew County and the rest of Central Indiana maintain comfortable homes and commercial buildings. For residential and commercial HVAC service or repair near Indianapolis, please do not hesitate to get in touch to schedule a free consultation.